Cheapskate is the best way to shop; cheaply. Cheapskate is the best way to shop and save. Know when a special is a special, not a tricky marketing exercise by the store! When you go shopping, do you get caught by those discounted or on-sale products on the shelf? Do you later realise that you paid top dollar after all? Well, Cheapskate is for you. Apart from being a great way to build shopping lists and tick them off, it’s also a great way to track what you’re spending on individual grocery items so that next time you go shopping, you know how much you should be spending. Take control of your shopping. Know which supermarket has the best deal by letting Cheapskate keep a record for you. 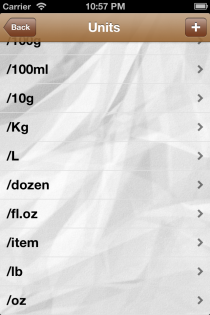 Over 1,200 grocery items, all categorised. Over 13,000 Supermarkets in the US, Canada, UK and Australia. 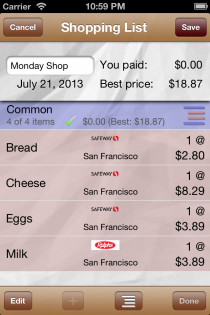 Cheapskate will automatically locate the stores closest to you. Allows you to track both item prices and unit prices. Supports both Metric and Imperial units of measure. 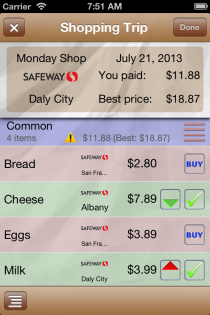 Provides graphs that show a historical view of grocery item prices and shopping history. 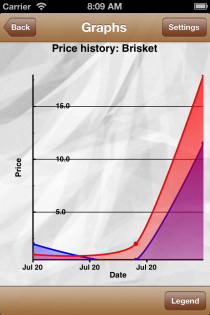 Use these to look for trends in product pricing. 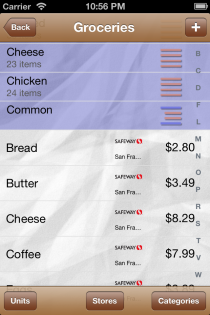 Add your own stores, groceries, and categories. Runs brilliantly on iPhone 4 and 5. 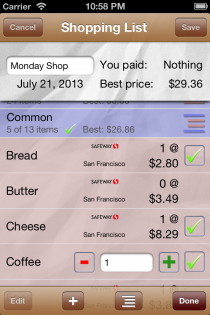 Cheapskate is built to make life easier. 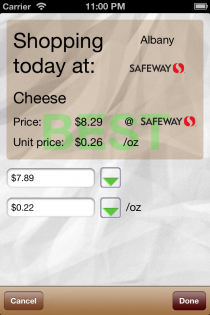 If you choose, you can track unit prices for grocery items as well as the actual sale price. The great thing about this is that you can then keep track of whether that bulk packet of something like chips is actually cheaper than the normal sized packet. It does require a little more to be entered, but it takes no time at all thanks to the optimised work flow. 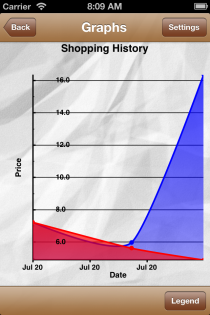 At all times, you can see whether you are about to pay more or less than you’ve paid before for the same item. Cheapskate ships with a collection of over 12,000 supermarkets. When you first run the app, it will automatically search this collection for any within 5 kilometers (or miles) of your current location and add them to the database. 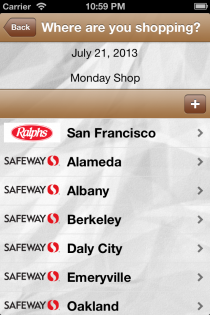 For first release, I’ve tried to include a comprehensive list of the following supermarket chains. By all means the list won’t be complete, as I simply don’t have access to that sort of data. If you need to, you can always add a new store to your app. In future updates you’ll have the option to share those new stores with PKCLsoft for addition to future app updates. 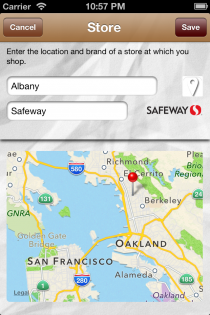 If you would like to see another supermarket chain added to the app, or, maybe you represent a supermarket chain and you want to be included, please contact me via the support page.